Hi friends! It’s one of those projects that has been on my to-do list for so long. 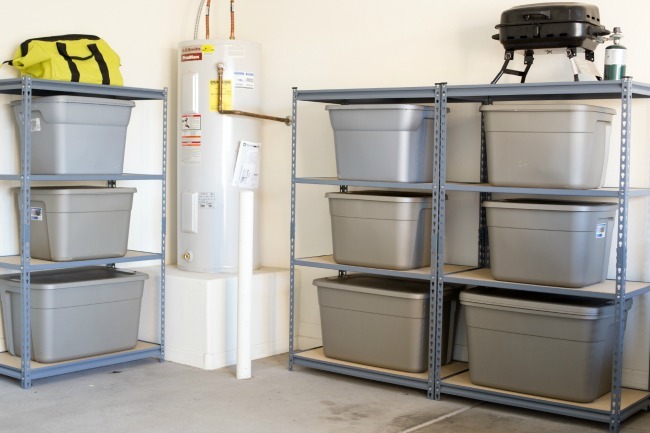 I don’t know about you, but just the words garage organization sound daunting, but we finally bit the bullet and have done just that! 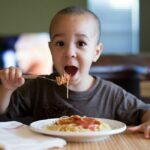 Today I’m going to share with you how with a little elbow grease, these surefire steps and the help of True Value we were able to make our organizational dreams come true! 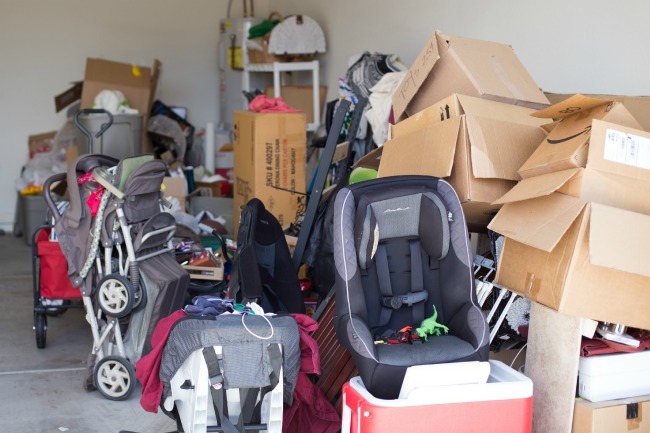 Now you may be the experts of getting rid of things, but let me just tell you between my husband and me, we know how to hoard. And what better place than to collect all of your unnecessary things than in your garage! So step one of our garage organization project was to PURGE. Sure there are plenty of things that we would want to keep in that big ‘ole pile you see there, but it was hard to tell the keep from the toss. So one day we went through it ALL, separated what we wanted to keep from what we could let go of and then we held an old fashioned garage sale! We were actually able to sell a good portion of that pile and made a few bucks in the process. Then we donated the leftovers so that NONE of the things we were willing to part with made it back into the garage! Now that we were left with only the things that we wanted to keep, it was time to sort through it all and group it into meaningful categories! 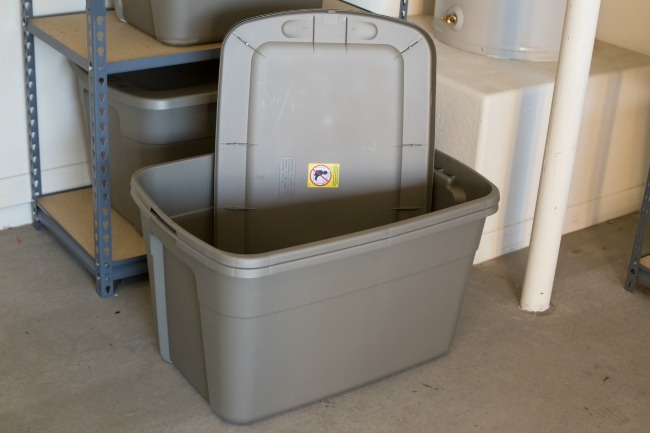 And awesome storage containers from True Value are just the thing to help get things sorted out! We went with mostly 18-gallon containers that were big enough to store quite a bit but also easy enough, when full, for both me and my husband to handle. Most of the things that we decided to keep fit nicely in the bins. We had a few things like bikes, trikes and strollers that we just moved to the side. You could probably go without this step. 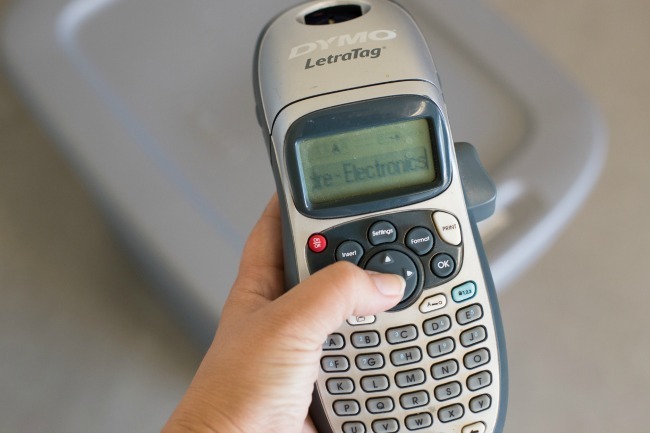 But the Martha Stewart in me enjoys breaking out my Dymo Label Maker! 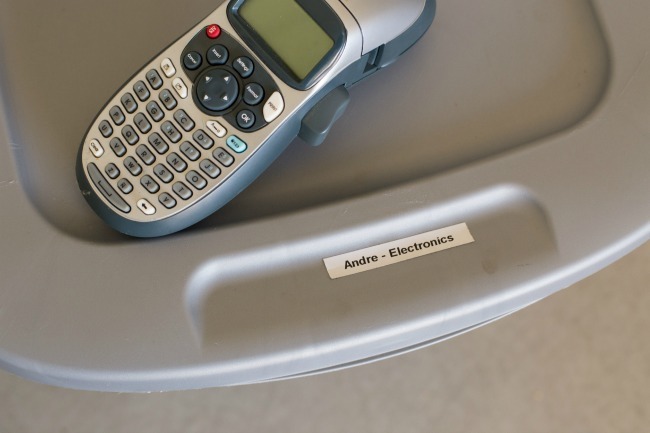 Key to a truly organized space, save yourself some time later on by labeling your new bins with what is inside! It takes just a few minutes to do, but just think how easy it will be to find your Halloween decorations (am I the only one with a bin for that?!) next year! I’m always surprised at just how dirty a garage can get! But now that everything was OUT of our garage and sorted into nice new storage containers, we took advantage of the empty garage to give it a good sweep out! Now you could take this to the next level and do some power cleaning. We thought about pulling out our pressure washer to give it a good scrubbing, but just opted for a good clean sweep this time around. While empty, we also added doing an epoxy floor to our to-do list, so stay tuned for that project! 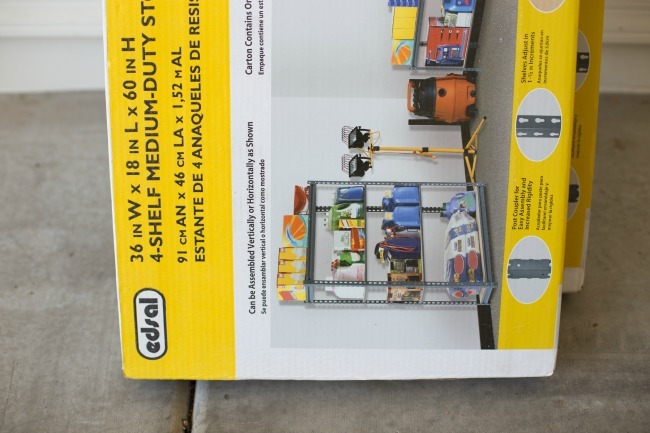 Last but not least – maybe the most dramatic impact of our garage organization project – is our new storage units from True Value! 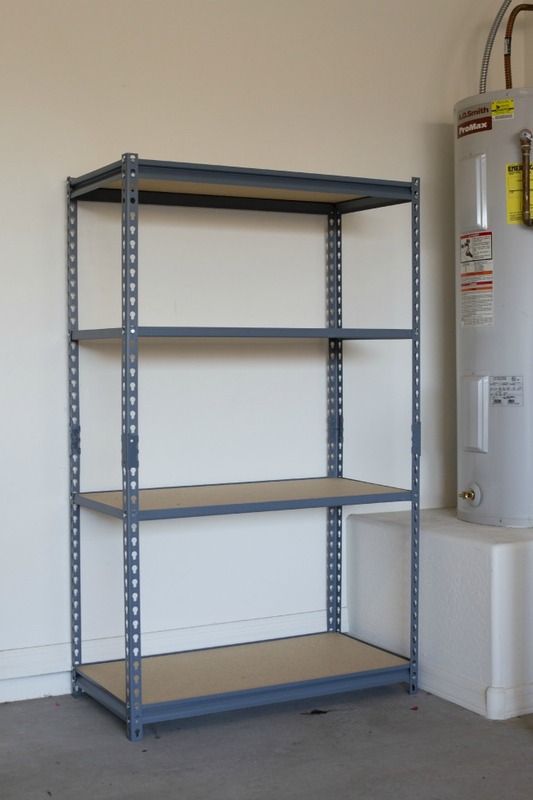 We picked a few Edsal steel units that not only fit our space now, but are versatile enough to be moved around and fit future spaces if need be. We also made sure that the storage containers we picked fit nicely on the new storage units. 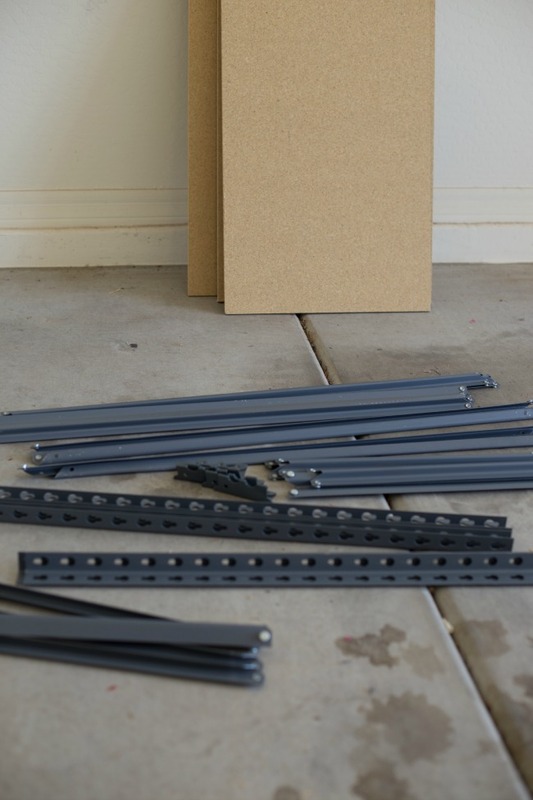 An afternoon of assembling the units and we were ready to go! 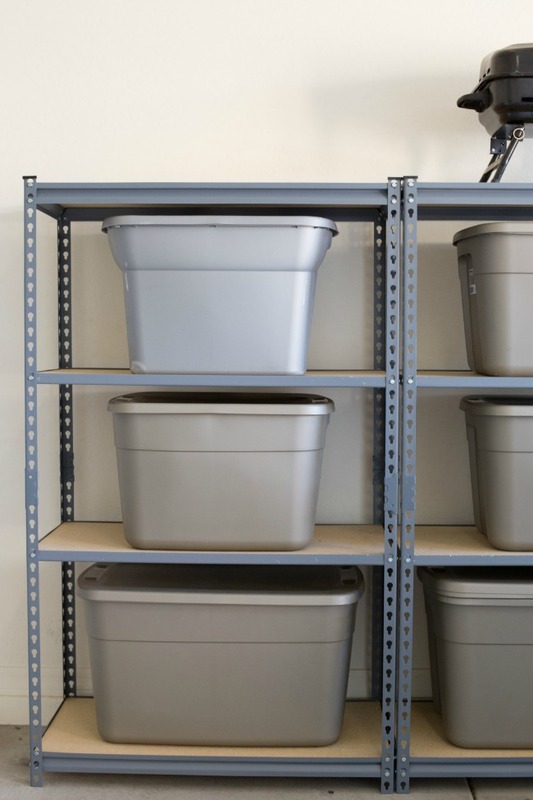 So now that the garage was clean and our goodies were all sorted and organized into nicely labeled bins, we simply moved the bins onto the storage units and called it a day! And we’re so happy with our newly organized space. We were AMAZED at how much room we freed up in the garage! Overall, I would say this project took much longer than I first anticipated (isn’t that always the case?! ), but on the other side of it all, I’m so glad that it’s a project that we tackled. 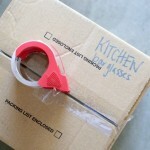 And I hope that our steps and tips help you as you plan to organize your space! 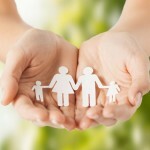 If we can do it – you can too! 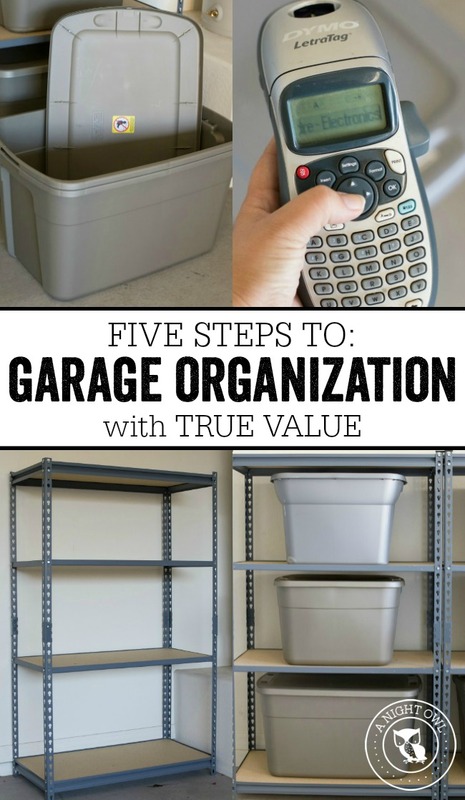 Thank you to True Value for sponsoring today’s post on Garage Organization. All opinions and images are my own. When we have a house someday, I’ll have to remember this setup!